I was wondering if anybody else has explored their family genealogy on here. I recently received some research from my brother on our genealogy and it's pretty interesting. All of my ancestors appear to have come to America between the late 1600's and late 1700's. And all of them lived in Southern states. The most interesting ancestor I have found is Colonel Elijah Isaacks of North Carolina that fought for the colonies during the revolutionary war. He also fought in the war of 1812. Here's some info on him. and in Franklin Co, GA in 1785. He was on the l790 census of Pendleton District, SC. t and orderly." Page 1787, 7 Jan 1782… "The Wilkes militia marched on ....". (The Moravian records are in German, of course, and the word "gemeinstunde" translates as a "
quiet evening time of study or reflection ...". ns Elisha and Elijah. The twins were grandsons of this earlier Elijah. ons, his brother Elisha voted "nea".
. lsaacks and the militia. Citizens not opposed to the Continental cause were not mistreated. ose of the payment is not given. He was married to a granddaughter of the father of Daniel Boone. So I'm related to that guy. He also met Andrew Jackson and later Sam Houston, the president and first governer of Texas. Other than that it appears that I have at least 6 ancestors that fought for the Confederacy during the American Civil War and everyone seems to have moved to Texas (the ones that weren't already there) within 20 years of the end of the war. My wife is supposedly descended from Daniel Webster but that hasn't been proven yet. I was born and raised in eastern Europe, Romania. The record keeping back there is not at the top of the priority list. Add to that the fact that my dad was adopted and has no information on his biological parents... I don't stand too many chances at finding reliable information regarding my ancestors. That being said my mother's family are relatively long lived, my great grandfathers both lived passed their 80's and one died at 94. I've heard many stories growing up, but they always took on the form of fairytales. It would be interesting to know, as a history lesson, but beyond that I don't hold much value to popularity. Even if it turns out I had a famous ancestor, it wouldn't do anything for my self esteem. I've done some research. Not much money, and my family is not well known for letter writing. Mostly midwestern moving out west. One great grandfather was in New York, then in Illinois while still a child. One great grandmother was also in Illinois as a child. One of my great-grandfather was in the Missouri volunteers in the Civil War. My dad has his discharge papers - the ancestor was 16 when discharged with viral pneumonia. Must have lived long enough to have a family. Most of them were farmers or shopkeepers. Not very interesting to anyone. One of these days, I'll do some more research. One of my great-grandfather was in the Missouri volunteers in the Civil War. My dad has his discharge papers - the ancestor was 16 when discharged with viral pneumonia. Must have lived long enough to have a family. For which side? Missouri was a border state and had both US and CSA volunteers. One of my great, great, great grandfathers fought in a CSA Missouri regiment. The USA side. I am real glad I wasn't around. Another branch of my family had a farm in Kansas during the Civil War. The second time they were burned out by Kelly's Raiders, they packed up and moved to Yuma, AZ. And as far as I have researched, the rest of the family on both sides (that was then living in the US - some are later immigrants) tried to avoid the Civil War as much as possible. Can't say I blame them from all I've read about it. If you are interested in public health, Cyclone in Calico about Mary Ann Bickerdyke is very interesting. She was not one of the Red Cross volunteers, but was a nurse during that war. I found it in the juvenile section, but it seemed to be well researched and didn't talk down to the reader. My Dad is pretty big on tracking out family back. He can go all the way back to France and Germany in the 1600's and maybe earlier. I am somewhat into it. I really don't look much into my dad's side of the family because they are pretty well documented. I like to look into my mom's side a little. That side of the family is Irish, English and German. I really don't know much about anyone from my mom's side of the family that may be well known. As for anyone well known from my fathers side of the family there are quite a few. Most notably is Jack Jouett (known as the Paul Revere of the south) He basically saved Thomas Jefferson when he was still Governor of Virginia and the entire state legislator from the British. He is fairly famous in Kentucky. There is also Mathew Harris Jouett who is a painter and there is also James Edward Jouett who was a Rear Admiral in the us navy and was the one of those the command "Damn the Torpedoes" was directed at. The actual command was: "Damn the torpedoes! Four bells. Captain Drayton, go ahead! Jouett, full speed!". There have also been 3 ships named the USS Jouett. Two destroyers and a missile cruiser. 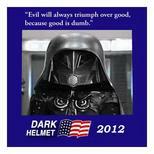 You see that evil will always triumph, because good is dumb.